An all-Syrian congress which will see wide representation of the country’s opposition is to be held in Sochi, Vladimir Putin said after talks with the Turkish and Iranian presidents, Recep Tayyip Erdogan and Hassan Rouhani, who backed the idea. “The presidents of Iran and Turkey supported the initiative to convene an all-Syrian forum-congress of the national dialogue in Syria. We agreed to hold this important event at the proper level and ensure the participation of representatives of different sectors of Syrian society,” Putin said after the talks in Sochi on Wednesday. 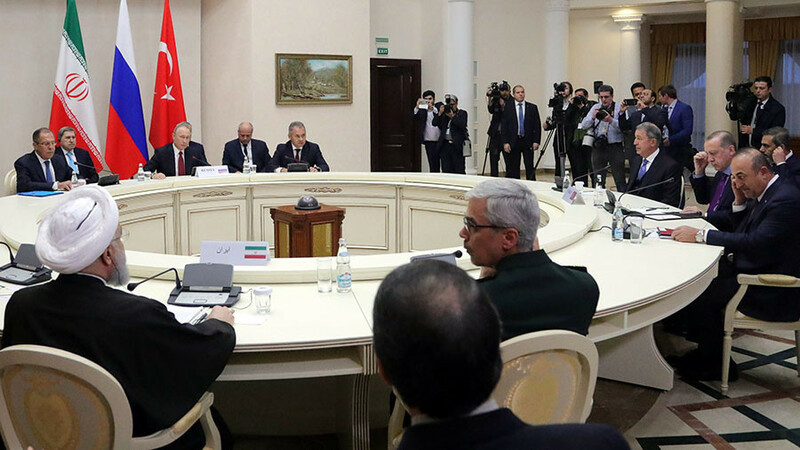 “We’ve tasked the Foreign Ministries, the representatives of special services and Defense Departments to work out the list of participants and the timing of the congress to be held here, in Sochi," the Russian president added. The all-Syrian congress is aimed at “gathering delegates from various political parties, internal and external opposition, ethnic and confessional groups at the negotiating table,” Putin said. Success on the battlefield has paved the way for a new stage of the peaceful settlement of the Syrian crisis, the Russian leader added. “In our common opinion, the success on the battlefield that brings closer the liberation of the whole of Syrian territory from the militants paves the way for a qualitatively new stage in the settlement of the crisis. I’m talking about the real prospects of achieving a long-term, comprehensive normalization in Syria, political adjustment in the post-conflict period,” Putin said. The Russian president also said that he and his counterparts see the potential for a long-term, comprehensive political settlement in Syria. 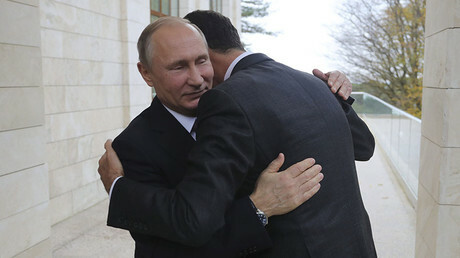 The talks in the Russian Black Sea resort of Sochi lasted two hours, with Putin saying that they were detailed and included all aspects of the Syrian settlement.